Never let it be said that the World Cruising Club (WCC) rests on its laurels. Always looking for fresh ways to add more spice to the world’s longest-running and most popular cruising rally—the first was held in 1986, and entries regularly exceed 200—the WCC this year added a third route option to the ARC mix. The original, and still the most popular, route is directly from Las Palmas in the Canary Islands to Rodney Bay in St. Lucia, a 2,700-mile tradewind voyage. Several years ago, the WCC added a second option, the ARC+. Starting two weeks earlier than the ARC proper, the ARC+ fleet stops over for a few days at Mindelo on the Cape Verde island of Sao Vincente, then re-starts to finish in St. Lucia. Affording entrants the opportunity to make crew swaps, reprovision or pick up spare parts or simply break up the monotony of a long ocean passage, the ARC+ proved so popular that it soon began to overtax the organizers and the shoreside facilities. That’s why the WCC decided to add yet another option. 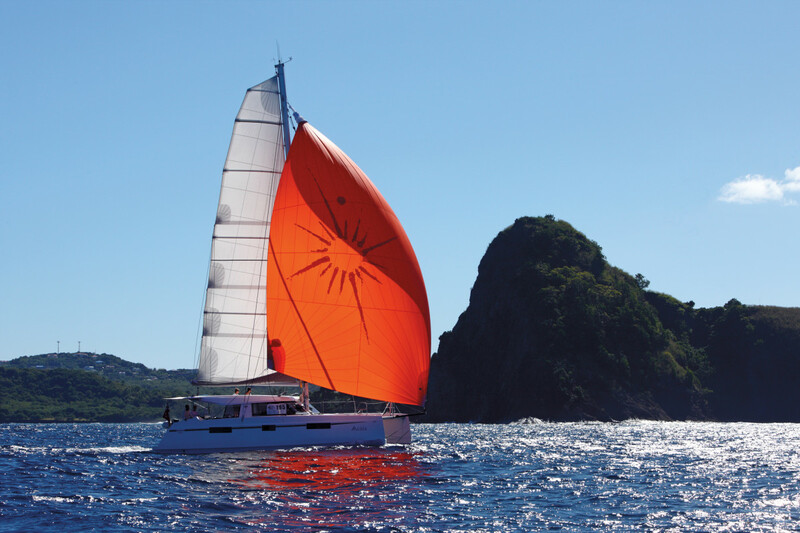 The latest addition, the ARC+ St. Vincent, also stops at Mindelo but finishes at the Blue Lagoon in St. Vincent. It starts from Las Palmas four days after the ARC+ fleet, the plan being for the boats to arrive in Mindelo just as the ARC+ boats are departing for St. Lucia. Some 20 boats have chosen to enter this event, while a further 76 crews will take part in the ARC+ with its St. Lucia finish. The remainder of the 275-strong fleet will take part in the ARC proper. One thing the ARC has seen in recent years is a steady increase in the number of multihulls taking part in the rallies. Over one-fifth of the entries, this year were catamarans, with Lagoon still the dominant manufacturer. Entries for the 2019 ARC events are now open. For more information, go to worldcruising.com.